You will need to first update/restore to the original iPhone OS firmware 3.0.1 on your iPhone by using the latest version of iTunes. iPhone 2G users can select both “Install Cydia” and “Unlock” options. iPhone 3G and iPhone 3GS users should only check on “Install Cydia” to jailbreak. Dont check the option for “Icy”. Sit back and enjoy while redsn0w will do all the rest for you. Once done, your iPhone will restart automatically and you will find it jailbroken with iPhone firmware version 3.0.1. 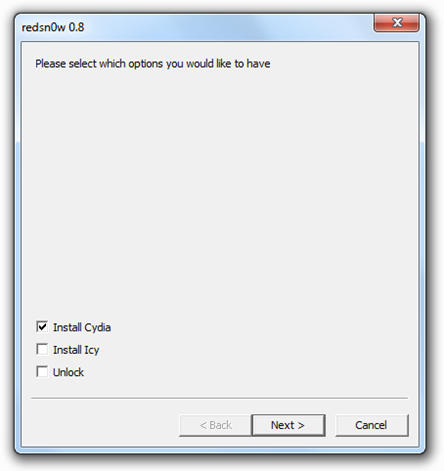 Now if you want to install “Icy”, follow the link here and read “Fix for Problem 5” to install “Icy”. 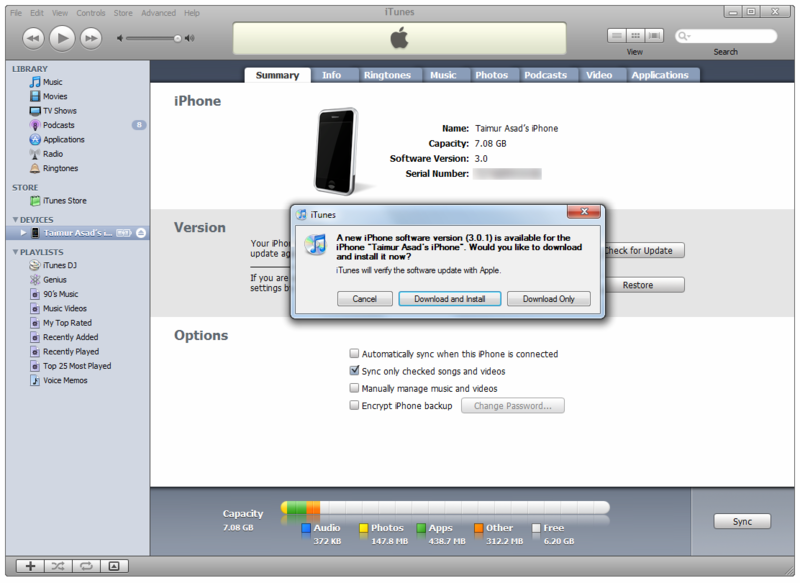 This guide will jailbreak iPhone 2G (iPhone 2G will also be unlocked), iPhone 3G and iPhone 3GS with iPhone OS 3.0.1. Now to unlock iPhone 3G and iPhone 3GS, follow the guide I posted here. 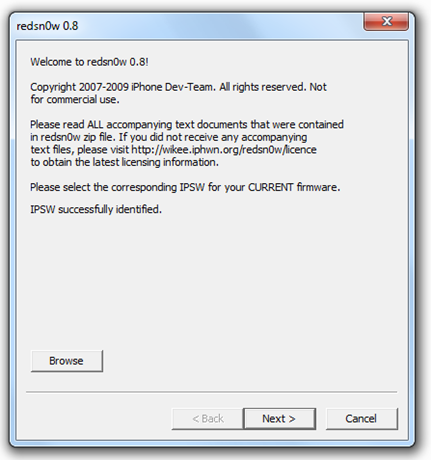 NOTE: redsn0w 0.8 was specifically released for iPhone 3GS. If you encounter problems while jailbreaking iPhone 2G and iPhone 3G, then I will recommend you to follow the jailbreaking steps above by using redsn0w 0.7 (download link given below). Feel free to ask me any question regarding any problem that you may encounter during the jailbreak process. Hi need help have an iphone 2g unlocked jailbroken was planning on selling it went to the setting screen did the erase function then left it alone to erase was plugged into power the whole time but now is stuck at the apple logo screen tried reset nothing please help thanks. hi i just upgrade my iphone software usein reds0n 0.7.2 all process working well on my iphone showing jailbreaking uploading kernel and even restarted but after restart logo shows connect to itunes emergency call only and my service provider logo is showin tell me please what is wrong. i got no signal after i jailbroke my iphone 3g using this method how do i fix it? 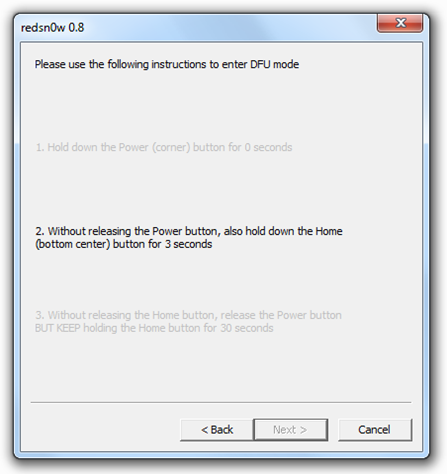 Download QuickPwn 2.2.5.1 Open it and follow the instructions on the first popup box. After you follow them, you should see the Apple logo on your phone. Keep QuickPwn open until your phone boots completely to the lock screen, then you can close QuickPwn. If you phone boots to a lock screen that says Emergency Calls, just open iTunes and let your phone activate. This has worked for me twice so far. during the reboot procces, when it is stuck, unplug ur iphone and plug it back in again, white screen should come up and start jailbreaking it. Unfortunately, none of this is working for my 16gb iphone 3gs. It blanks to black during the jailbreak… and after 5 mins nothing happens on the iphone screen.. should I have waited a bit longer or should I wait for a more reliable version of redsn0w to come out? i bought iphone 3gs 32 gb.. i have try the above one buts its of no use….its showing unrecognize ispw…. what to do now ……plz help…….. I didn't jailbreak or unlock my iPhone 3GS yet but I think you need to install ultrasnow through Cydia. I have iphone2g v1.1.4. Can somebody guide me on how to upgrade it to v.3.0.1 using iTunes? The issue is, im seeing v.3.1 in my itunes now and not v.3.0. How do I upgrade it to v3.0.1? LISTEN UP EVERYBODY! If you have an iPhone 2G/3G/3Gs on firmware 3.1.2, there is no need to downgrade anymore to jailbreak or unlock. All you need is to go to blackra1n.com and download blackra1n.exe. The jailbreak is super easy now and only takes about 10 secs to do. You just run blackra1n.exe plug in your iPhone and click make it rain. That's it. You will now have a new icon on your springboard. Open it and install cydia. Restart your iPhone and enjoy. To unlock for other carriers, install blacksn0w using cydia. Do a search on YouTube for blacksn0w how to if you have trouble. If you do not have 3.1.2 firmware, you can still use blackra1n I think. If not, just upgrade with iTunes and then do it. Be careful not to go past 3.1.2 though. It's only a matter of time until apple fixes this jailbreak method. Hope this helps someone! 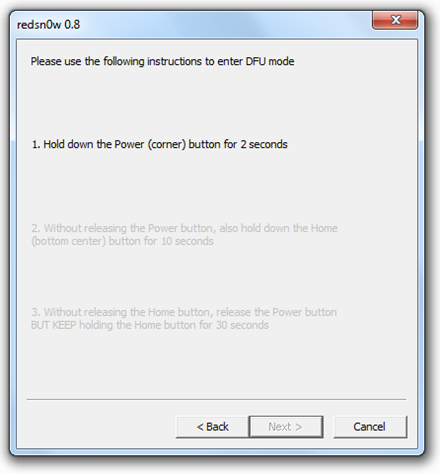 Both Redsnow and Blackra1n works, just follow the instructions. Thank you for the exact instruction. I followed it and jailbreaked my iPhone 2G. But now the problem is that it doesn't want to turn off. After turning off, it immediately turning on again. Before it was OK. Thank you. thanks, everything working on my 2g iphone, now stands 3.1.2. version. when you connected your phone to itunes, after holding down the shift button, did you click update or restore? After you connect to itunes it will search for updates, you only need to click for update, nothing more. after following all directions… my iphone spontaneously combusted into flames!!! i did it and it worked fine, then I restored to to my backup and it undid it… So, I put 3.0 back on and i am trying again. 5 attempts and wont work… Any help? 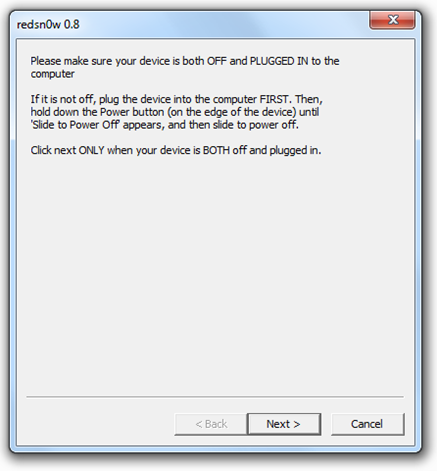 you have to download the firmware 3.0.1. then when u d/l it, click save, not open. after it downloads, usually after 45 minutes, open up itunes with your iphone connected. then press shift while clicking on restore. 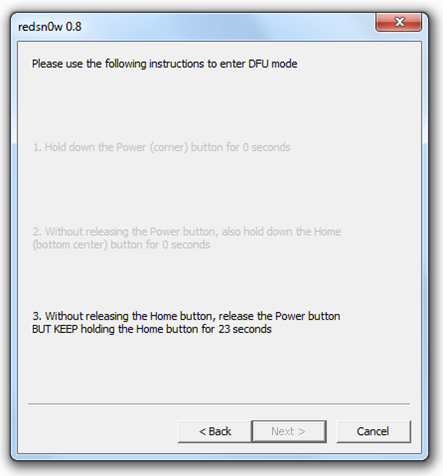 then just find the downloaded ipsw [firmware] and click on it. thats it. my iphone 3g is on 3.1.3 how to unlock it? I have never upgraded my 3gs so i am still on version 3.0.1. I cannot therefore find the appropriate file to point redsnow at in the Apple Computer Software Update folder. Please help.